Giving away products with your brand name on them is a great way to build awareness of your products and services. It has been estimated that almost 72% of people who attended a trade show and left with promotional products remembered the names of the companies who gave them out. giving out business swag is not really enough. You have to make sure the promotional items you give out make the right impression. Here are some tips to make sure you are sending the right message with your freebies. Never lose sight of your messaging. Whenever you are creating any promotional items, from integrated marketing exhibits to banners to retail digital displays or business swag, you need to make sure your overall messaging remains consistent. The last thing you need is for some part of your marketing to make the wrong impression or cause a conflict with the rest of your materials. If you are promoting solar panels, handing out flashlights may not be the best plan as the message received may be that those will be needed in cloudier times. Make sure your promotional items are of decent quality. If you are promoting a top-notch brand, your business swag needs to great as well. For instance, if you are promoting a high-end hotel chain, cheaply made t-shirts are just going to cheapen your brand. It never helps your brand if you hand out promotional items that make prospective customers question your choices. Think about where you are located and what the people in the area like. One example is baseball caps. People who reside in the state of Florida are more likely to keep hats with logos than people in California. It has been reported that eight out of every 10 people in Florida say they wear a baseball hat with a logo at least once every week. Meanwhile, at least 60% of Californians will throw out a hat if they do not like the way it looks. If you know the people you are marketing to like or gate one kind of business swag, that should influence what you give away. If you can, use your business swag to develop an emotional connection with your customers or clients. For example, Americans love their pets. If you give out promotional products that people can give to their cat or dog, you will form such a connection. A Tennessee based lawn care services company found that to say thank you to their new customers, they would put together a basket of treats for the pets. This was a fun and effective way to get their new customers to have a better impression of the company. If you know what your target audience likes, you can create more effective business swag. Before you design business swag, you should get to know yourself and your target audience. Your brand is not just a slogan you put out so people will remember you and the products and services you provide. Your brand is your promise to your customers and your clients. You also need to know who can get the most from your company. When you know what you are trying to do and who you are looking to sell you, you can create better promotional business products that can form a connection. If you know your audience, you also know what kinds of things will work for them. Dog lovers might like flexible and portable water dishes. Active people might like water bottles to take with them. The thing about promotional materials is that people remember them and the companies from whom they got them. For instance, of the people who are given a promotional hat or shirt, at least 85% of them remember who they got the business swag from. People may actually remember the bad swag they do not like. That means they will tell their friends. 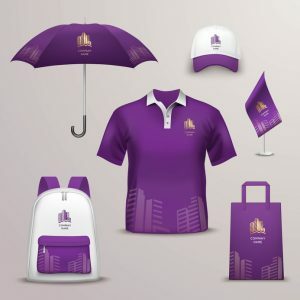 Good swag will be used all over town where it will do a lot to increase awareness of your brand and the products you sell or the services you provide. Taking some extra time on your swag can really make a big difference for your bottom line.